Get a Beats Mixr by Dr. Dre with an iPod Shuffle in "Listen to the Beats promo"
It’s not new to everyone that Apple bought Beats Electronics for a whooping USD 3 billion. Locally, two of the most sought after devices from both brands are packaged into one promo. 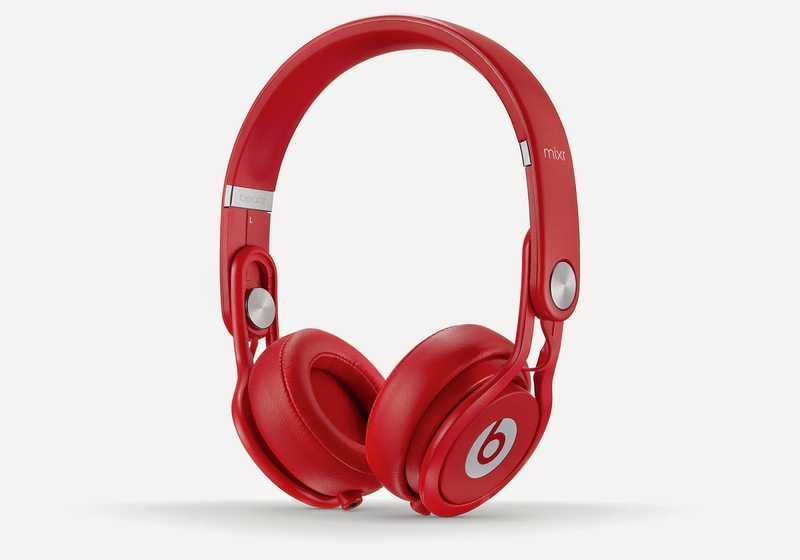 The “Listen to the Beats” promo will be running from October 1 to November 30. Designed to deliver club-quality audio, beats Mixr by Dr. Dre (red, black, and white) comes bundled with iPod Shuffle (pink, yellow, green, purple. Now, more than ever, customers are assured to enjoy crisp and high-definition audio quality in and out of the club. Beats Mixr is the perfect choice for audio-demanding enthusiasts. It’s designed to deliver extremely deep bass even at extraordinarily high volumes and handle the loudest of sound levels without comprising the ground-breaking, ultra-crisp sonic technology expected from Beats products. The Mixr is durable and well designed, with dual-input and daisy chain connectors to let you share your music easily. It also features rotating ear cups and ultra-flexible headband that folds easily and lets you off to your next stop with ease. You’ll never have to leave your music again with the iPod Shuffle. It comes small in size, but big in music, allowing you to take hundreds of songs with you with its 2GB storage capacity. That’s more than enough space for songs to match whatever you’re doing, and the Shuffle can last up to 15 hours to let you play them all. This colorful clip-and-go iPod brings ease to your listening experience. Just press the inner button to play and pause, or the outer buttons to skip and adjust the volume. Tired of playing your playlist in order? Just flip the shuffle switch to suite your listening style. The shuffle can also talk to you—it can tell you the title or the artist of the track you’re playing. Just press the VoiceOver button on top of your iPod shuffle, and it tell you just what you need to know. You can also use VoiceOver to hear the names of your playlists and switch between them. It will even remind you when you need to charge your iPod too! Buy Beats Mixr for only Php 15,000 and get a 2 GB iPod Shuffle for free from the following participating resellers: Abenson (Ascott, Glorietta 1), Astrovision/Astroplus (Greenbelt 5, Shangri-la Mall, SM Aura, SM MOA, Vmall), Avant (Greenbelt 4, Trinoma) Beyond the Box (Galleria, New Port Mall, Robinsons Ermita, Rockwell, Vmall), iStore (Ayala Cebu, SM Cebu), Gadgets@Extreme (Sta. Mesa) Gadgets in Style (Marquee Mall, Shangri-la Mall, Trinoma) The Landmark (Makati), PC Corner (SM Fairview), Perfect Icon (Gilmore) Octagon (ATC, Glorietta 3, SM Megamall, Vmall), Robinsons Appliance (Galleria), Rustan’s (Shangri-la Mall) SM Appliance (Aura, Fairview, Makati, Megamall, MOA, Rockwell), Switch (ATC, Glorietta 2, Marquee Mall, UP Technohub). You may also call MSI-ECS, the exclusive distributor of Beats by Dr. Dre in the country at 688-3180 or email marketing@msi-ecs.com.ph for availability. Pinoy Metro Geek: Get a Beats Mixr by Dr. Dre with an iPod Shuffle in "Listen to the Beats promo"